F2P Is Going "Wild" But Is It Worth Over $10K? I'm headed to Africa later this summer. That's right. Southern Africa to be exact...and it's crazy expensive. She didn't have someone interested in going with her - her husband doesn't share her passion to see the Big Five*. I love helping others work through their "list". It's a great way of experiencing something new myself, such as when I got to run a marathon. An African Safari? Why not. So, way back in 2011, I said "Yes". Why Does It Feel Insane? $250 for necessary vaccinations, malaria pills and first aid kit - no cutting these expenses out! $500 for trip-specific travel gear: camera (Cannon PowerShot SX50 HS)***, tripod & memory cards and minimal clothing purchases (2 pairs of khaki pants and a long-sleeve shirt from CostCo and Cabela's respectively). Luckily, the tour is supplying the hat, duffle bag, flash light and a few other necessary items. I'll be borrowing a set of binoculars from family to round out the necessary equipment. $600 needed in cash for tips and other small daily expenses. Luckily, I was able to use WestJet travel points to cover most of the trip to NYC and am using the camera for business already (it had been on my list for a while so I snapped it up on Amazon on Boxing Day). As for clothing, I made sure that I purchased the absolute minimum I could get away with, and only what I would likely wear often after the trip. So, once in Africa I'm paying approximately $800 per day. It feels pretty insane, given that my husband and I combined usually travel for 1/3 to 1/2 that daily amount and, in some cases, that's even generous. One could argue that there's a premium for safety for two women travelling alone, but I'm hesitant to agree. There Is A Silver Lining, Though It Should Be Platinum At That Price! 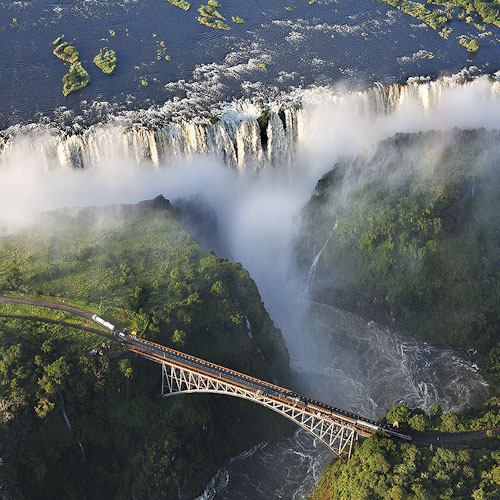 Victoria Falls, Zimbabwe. One of the 7 natural wonders of the world. Africa has been a continent of interest for me for years. It's a chance to add 3 countries to my list of travels and that's quite exciting. Plus, my husband wasn't too interested, I'm not convinced I would create another opportunity to visit it myself. I can't see myself going on such an extravagant trip like this ever again and that knowledge has me focused on getting as much out of the experience as possible. I can tell you there will be no point at which I'm taking it all for granted. I'll be soaking it ALL IN! I'm realizing that I understand the value of a dollar much more than I did three years ago, and for that I am particularly grateful. I was able to pay for it all up front. It didn't tickle to part with the Benjamins, but I doubt I would've been able to do that ten years ago and still increase my savings at the same time. And, most importantly, I'm excited for TWO people. I can't wait to share the experience of a lifetime with my dear friend. Her excitement is palpable, a crescendo that has been building for three years already. It's absolutely infectious. I can only imagine what it will be like to be right along side her she experiences it. I think it will be priceless. How about you? Have you gone "wild" for good reason? Done anything out of character or planned to and followed through? Or, do you think this is just crazy? Stupid? Wasteful? UPDATE: The trip was absolutely amazing and totally worth the moolah. Want to know more? Check out the associated posts here, here and here. A big thank you goes to Michelle for letting me accompany her on this great adventure. 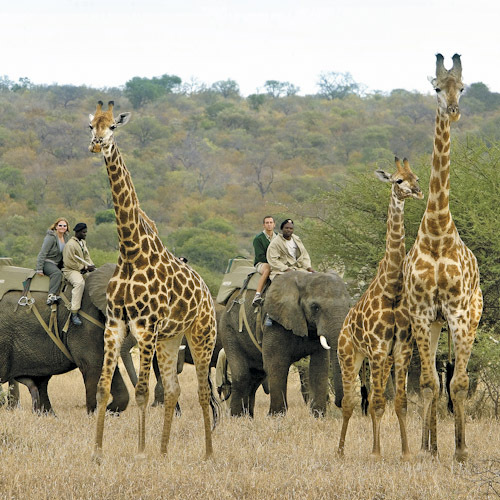 *The "Big Five" was the safari hunter's brag list as the 5 most difficult animals to hunt: lion, elephant, cape buffalo, leopard and rhinoceros. We'll be shooting pictures, not riffles. **One of the interesting aspects of travelling with someone is seeing eye to eye on the level of accommodation each party needs, especially when you're sharing. I'm OK with a whole lot less comfort than others. ***Two professional photographer friends of mine separately suggested this as an inexpensive travel camera. They each purchased it as a substitute for their expensive gear during their leisure travel. I didn't shop around. I took that advice and ran! If you need a camera and use the link in this post, a small portion of the purchase will help support F2P. Pictures are from African Travel Inc.